Have you ever been to Beaver Creek, Colorado? If you have, you’ll notice that all the homes and buildings in the resort community have a unified look. At Elk Track Town Homes of Beaver Creek, 16 unites were recently re-roofed using a custom blend of colors created by DaVinci Roofscapes. 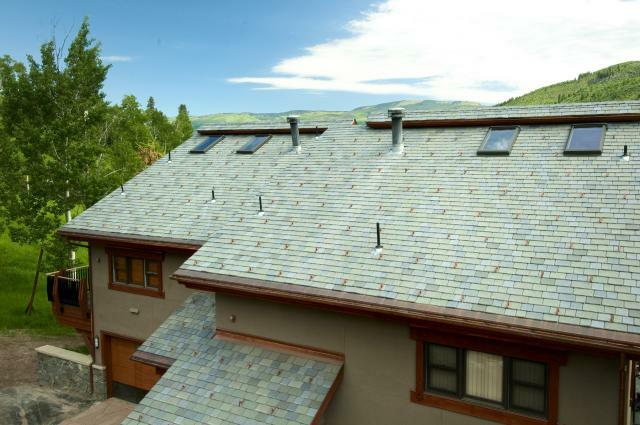 Named the "Beaver Creek Blend," the durable synthetic slate tiles were installed by the team at Arapahoe Roofing and Sheet Metal in late 2008. The DaVinci custom-created "Beaver Creek Blend" showcases a unique blend of green, tan and gray colors. It replaced an old concrete tile roof. Since each of the town homes in the community sells for between $2 and $5 million, the investment in the custom color of synthetic slates was essential. The Design Review Board at Beaver Creek and the homeowners association had to approve the product and color choice before installation could begin. 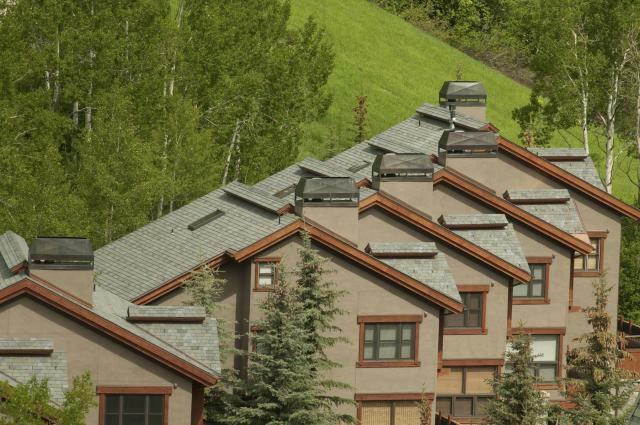 Now the designer roofs fit in perfectly with the rest of the Beaver Creek community — and no one would ever guess the green roof construction features manufactured slate tiles!